For those interested in local politics and who like to get things done, a career as a city manager may be a good choice. In the council-manager form of government, the city council is the governing body elected by the citizens. The powers of the mayor in this form of government vary from city to city; however, the mayor is not the chief executive. The council hires a city manager to serve as the chief executive of the city government. With some exceptions that vary from city to city, the city manager oversees all city staff. The city manager advises the council on their decisions but has no formal authority to vote on laws enacted by the council. Once laws or other decisions are made, the city manager is ultimately responsible for carrying out the council's wishes. Bridge gaps in political disputes. Hire and fire department heads. City managers bridge the gap between politics and the day-to-day administration of city services. In most cities, all departments report to the city manager, who reports to the city council. City managers serve residents by ensuring that city services are running smoothly and efficiently. However, they also have to balance this against serving the agendas of the city councilmembers who hired them. A common joke in the city management profession is that all a city manager needs to know is how to count to four since many city councils are made up of seven members. As long as a majority of the council is happy, the city manager has some level of security. Such job security is easier imagined than accomplished since electorates can be fickle, meaning the makeup and priorities of any city council can change dramatically in a short period of time. Sometimes, running a city well means convincing council members that what they want (or what they promised their constituents) might not be the best uses of city resources or time. A city manager’s salary generally correlates with the size of the city’s tax base, which is not the same as the size of the city’s population. 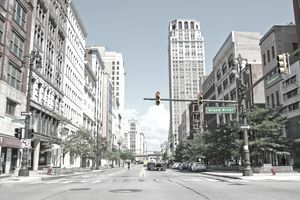 While larger cities generally have larger tax bases, it’s not uncommon for some small cities to have large tax bases due to high property values. The opposite also can be true. City managers often have contracts that stipulate other types of benefits such as car and housing allowances, and deferred compensation. If not hiring an experienced manager from another municipality, cities often hire from within, meaning most administrative leadership positions in local government can serve as stepping-stones to a position as a city manager. Degrees: Many who serve as city managers obtain a master’s degree in public administration, but undergraduate degrees vary since city managers often are promoted from different city departments. For example, a former finance director might have a degree in accounting or finance while a former police chief might have a degree in criminal justice. Certification: Those pursuing a city manager position might also seek to earn a Certified Public Manager (CPM) credential. This involves training in key areas such as leadership, public service, personal and organizational integrity, planning, and more. Diplomacy: Sometimes a city needs to solve a problem and multiple potential solutions are on the table, each with support from different individuals or factions. The city manager needs to find a way to gain support to implement the solution that best addresses the problem without alienating those council members or community members whose plans were not implemented. Ability to delegate: City managers can’t do everything. They need to build a strong staff of trusted department heads who can handle city planning, city finances, parks and recreation, law enforcement, and more. Project management: Even though city managers can't do everything, nor are all things delegated. City managers often need to be directly involved in important projects, especially ones in areas where the city manager has particular background or expertise. People skills: In addition to working well with elected city councilmembers, city managers have direct contact with community leaders and citizens. Mayors may be the face of a city from a ceremonial standpoint, but when problems need to be solved or negotiations need to take place, the city manager usually is the point person. City manager positions have a lot of turnover. People rarely hold such a position for more than a few election cycles. New city councils frequently have new agendas that lead to conflicts with sitting city managers. While this leads to a lack of job stability, it also means frequent openings for city managers. Often, city managers use the skills they’ve developed to find similar work in the private sector or a more stable part of the public sector. According to the U.S. Bureau of Labor Statistics, the need for managers in administrative roles is expected to grow by about 10 percent for the decade ending in 2026. This exceeds the projected growth rate of 7 percent for all positions. Being a city manager is a fast-paced job that involves solving multiple problems on any given day. While it technically is a desk job, city managers frequently spend their days meeting with department heads, community leaders or community groups, the city council, or various subcommittees. Some city managers focus the bulk of their attention on the areas where they have the most expertise and rely heavily on department heads for other areas. The bulk of a city manager’s schedule takes place during business hours, but evening hours are common because that often is when council meetings and subcommittee meetings are held. Weekends sometimes might demand a city manager’s attention either for community functions or to address crises that might arise. Depending on the nature of a particular crisis, city managers are always on call. Since city managers often are hired from within, the best way to advance to such a position is to become a trusted asset running a city department. Since turnover is common, having contacts in other municipalities in the region can prove valuable when seeking a city manager job. Cities often work with headhunters to find the best candidates, so it’s important for candidates to make themselves familiar to headhunters in the region.